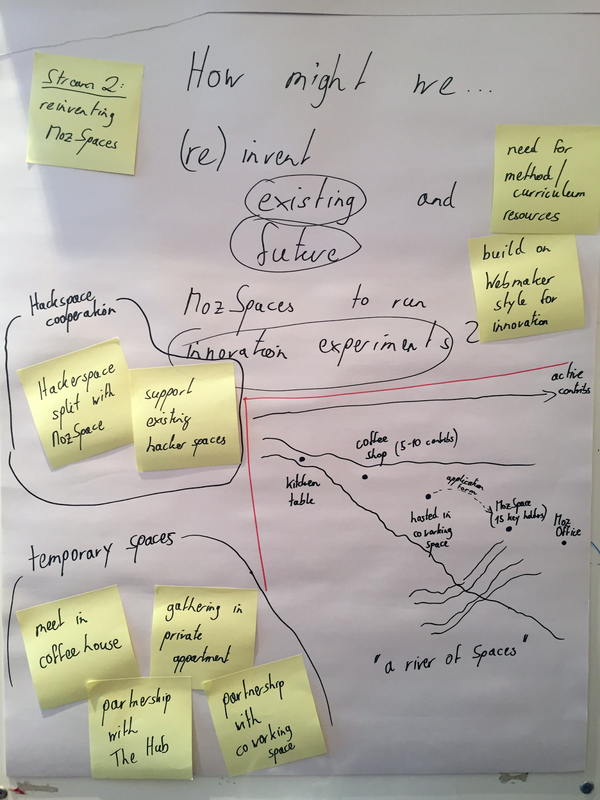 This is part of the result we found from the “How might we (re)invent existing and future MozSpace to run innivation experiments”, which we address different kinds of community space at the community space session on Mozilla AllHands 2016 in London. 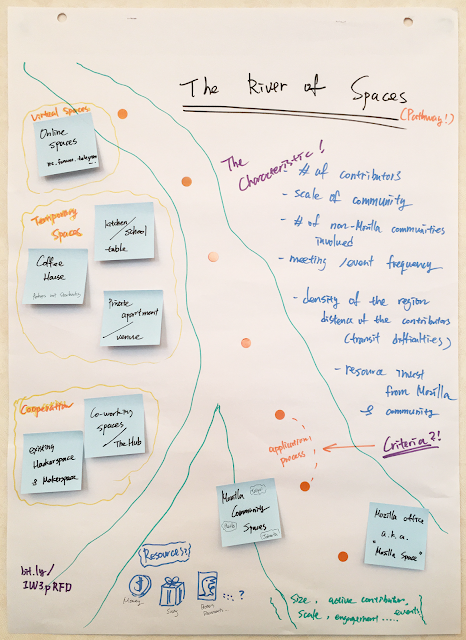 There are different types of spaces with various characteristic, eg. Following is the space various in different type that we found in our expereinces and in different region, it may be a of community space (and probably also same for the community meeting). It was begin when some people who is interesting in promoting Mozilla and it’s various products gathering and meet online. If there are some contributors or remoties work more frequenly and host more events, they may want to find a permanently / half-permanently space. We find that sometimes there are good cooperating and supporting from local co-working space. 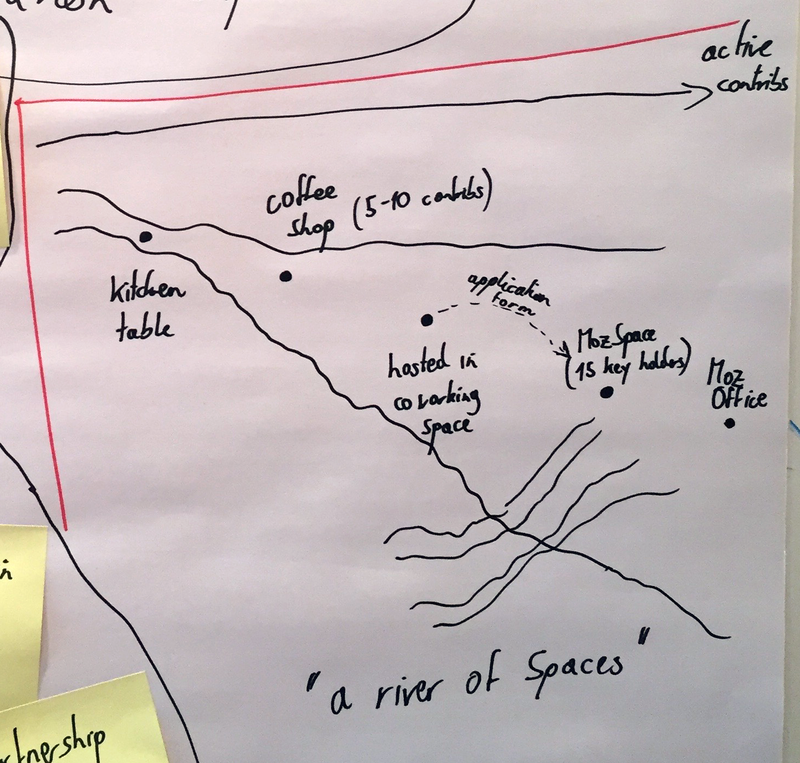 Similar to the above co-working space, there may be some hackerspace / makerspace already exist and in good align with Mozilla’s mission, the community may like to join or get involved the venue. We should have some application procedure at this stage, for communities who is interesting in get into next stage of pathway. After all this stage, the community now has more people and frequenly events and many meetups, they may want to get their own community spaces in order to better hosting and contributing. The most important thing in this stage is that besides benefit Mozilla community, we want to also help / support other communities within the region, in order to better using the resource, and they most probably also under their early stage of this pathway. If we have more and more remoties working at Mozilla during the growth of the Mozilla community, eventually we will set up a Mozilla office inside the area. It will be similar to the community spaces and have good community-staff relationship if we follow and grow alone the path. Above different kinds of space is a typical pathway we found in different communities and in our community's 10+ years experience. We had pass all of those stage (besides the office one), and some other communities may currently in one of the earlier stage. 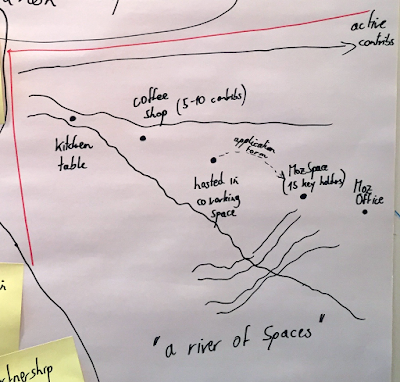 It’s like the flow of the river from upper reach to the ocean, we can imaging the flow as the size of the community / the resource / the reach and the impact. Different communities are not necessery follow the same pathway but it should be somehow similer. Thanks all of the Mozilla Community Space stewards in the session, especially Henrik, Gaspar, Nikos, Yofie who is in this discussion.